May is a big month for wine and dine celebrations! 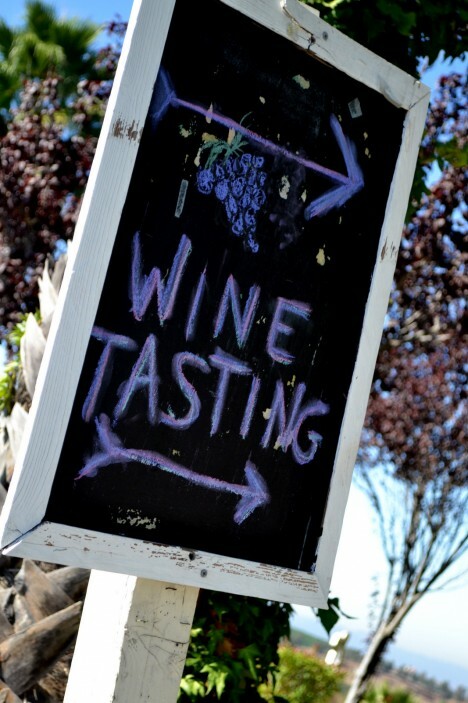 Mother’s Day, Memorial Day, weddings and spring birthdays… So what Temecula Valley wines perform best in these lovely pre-summer months? And what’s the best seasonal fare to pair them with? *Reminder tip! Get the most balanced flavor from your bottle by using the simple 15 minute rule for serving all wine: Pull whites and rosés out of the fridge 15 minutes before drinking; put reds in the fridge for 15 minutes before drinking. Of Spanish-Mediterranean origin, Vermentino is often a grape used in white-wine blending. Relatively low in alcohol with crisp acids, Cougar Winery offers their 100% 2013 Vermentino for $17. Serve this white alongside grilled spring vegetables like asparagus, artichokes and charred green onions. Palumbo Family Vineyards’ Brezza di Mare Viognier-Rousanne is a Rhone-style blend (meaning in the style of the Rhone wine region in the South of France) which sells for $19.95. Made up of 75% Viognier and 25% Rousanne, this food-friendly white blend has a minerality that goes nicely with fresh seafood (think chilled mussels and shrimp) or a charcuterie platter if you’re having a weekend get-together. 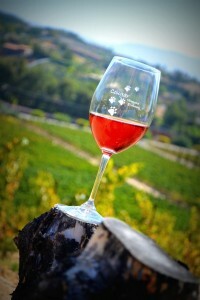 Leoness Cellars focuses on sustainable practices in the vineyards and it shows in their wines. Try the fruit-forward 2010 Vineyard Selection Merlot, $55. This bottle is a great stand-alone drinker and has a high likelihood of being consumed before the food is finished cooking. But if you must pair it with your meal, serve with a medium-rare pork loin with cherry compote or a spring pasta tossed with early-season tomatoes, asparagus and caramelized spring onions. Miramonte Winery offers an excellent quality 2010 Tempranillo for $38.95. Technically a blend (80% Tempranillo, 10% Grenache, 10% Cinsault), this Spanish red pairs well with cooked meats hot off the grill, like lamb chops and brats served with a side of grilled peppers and onions. For special toasts to mom, there’s nothing like a sparkler. But first, some background. What’s the difference between champagne and spumante? Well, it begins with the country of origin. For a sparkling wine to be officially designated as “Champagne” it must be made in the Champagne region of northeast France. Spumante (also known as Asti Spumante) is a sparkling white wine from the Piedmont region of Italy, made from Muscat Bianco grapes. Champagne and spumante are crafted differently as well. Unlike Champagne, Asti is not made sparkling through the use of secondary fermentation in the bottle but rather through a single tank fermentation utilizing the Charmat method. While Champagne can land anywhere on the scale between sec (sweet) or brut (dry), Spumante tends to be on the sweeter side; another well-known version is Moscato d’Asti. 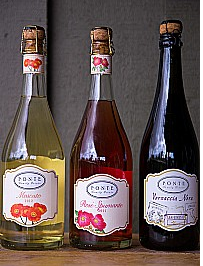 Ponte Estate offers two California bubblies: the popular Moscato and the beautiful Rose Spumante. Moscato – by itself or in a Mimosa with fresh OJ or tangerine juice – pairs perfectly with your Sunday Mother’s Day brunch (think Quiche Lorraine and fruit.) Its gentle bubbles will tickle your taste buds with mellow flavors of apricot and nectarine. Even better, pick up Ponte’s Sparkling Wine Trio for $92 (or $69 wine club sale.) You’ll get a bottle of Moscato 2012, Rose Spumante 2012 and Vernaccia Nera 2011. This sparkling trio will certainly keep glasses filled throughout your Mother’s Day celebrations. Another top winery choice for that special Mother’s Day bottle is South Coast Winery, which makes a variety of unique California sparkling wines like Pinot Noir Rosé, Pinot Grigio Sparkling and Spumante Diamonte. Pair these with your favorite brunch items – eggs benedict, french toast with strawberries and even a ham & cheese melt topped with powdered sugar (ala Monte Carlo.) And send mom home with a bottle, too. Last but not least, Leoness Cellars has put together a hand-selected spring three pack for your Mother’s Day picnic: White Merlot, Grenache and Melange de Blanc. The White Merlot is a lovely pink hue, bursting with berry flavors. Melange de Blanc is a Rhone-style white wine blend of Grenache Blanc, Viognier, Roussanne and Marsanne and pairs perfectly with seafood, soft french cheese and seasonal fruit like fresh strawberries. The Grenache is a soft and supple medium-bodied red (a warm-climate alternative to Pinot Noir) that matches the flavor of barbecued meats and light pasta salad. Remember to serve all three of these wines cool. 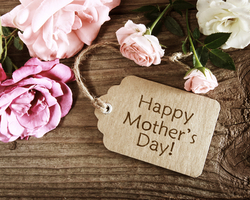 Happy Spring & Happy Mother’s Day from Temecula Valley Wine Country!